New Menu Monday- Meatloaf Swapped for Swedish Meatballs, HOLY YUM!! 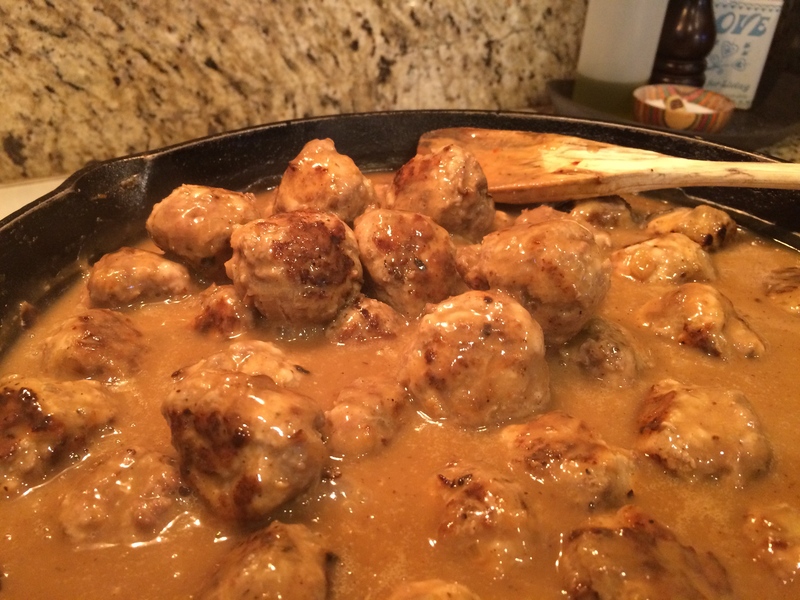 Screenshot of DamnDelicious.net Click to link to her Swedish Meatball recipe! 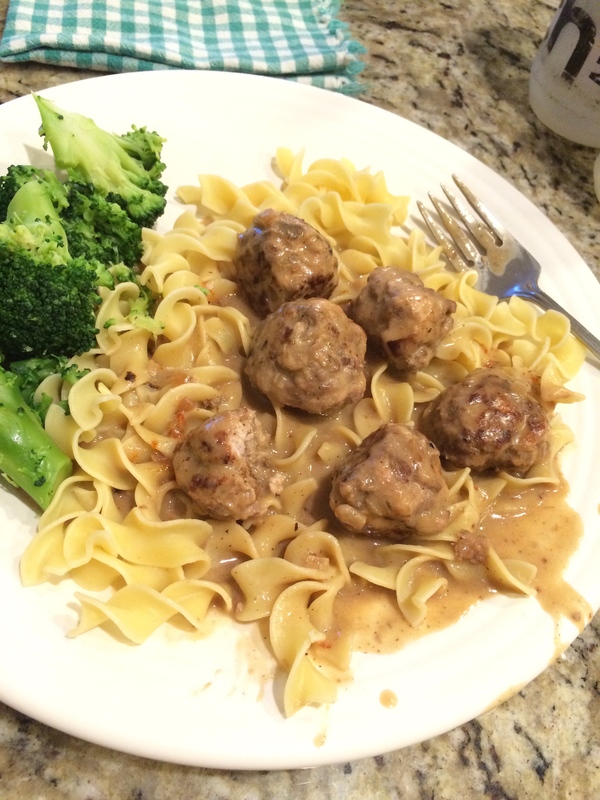 Swedish Meatballs swimming in perfect gravy, served with broccoli. DamDelicious.net is run by Chung-Ah, who does not profess to be a trained cook. Well, this gal has taught herself well and paid great attention to anyone who and anything that ever taught her to appreciate food and its preparation. I can’t believe that this came out looking as good IRL as her recipe looks online! And HOLY COW this was good. If a meal has noodles, sauce and meat, it is instantly one of my favorites. Four out of five of us loved it- The Boy (The Dissenter) thought it had too many onions, The Boyfriend loved it despite the onions. The Husband raved, The Girl was still praising these meatballs over two hours later. I followed the recipe exactly with one change and one mistake- I added a couple of teaspoons of Worcestershire sauce, and accidentally added two whole eggs instead of just two egg yolks. I bet my meatballs would have been less tough with just yolks… but that is really nit-picking. This was Damn Delicious! If you want to fuss with making meatballs (does 20 minutes of scooping and rolling count as a fuss? ), make this recipe. Big tip- use a cookie scoop and they will halfway make themselves. Mine is a two tablespoon scoop that I use for cookies, and I found it a perfect helper. The other kitchen tip is use a cast iron skillet- this one is my 12″ pan and I swear by it. Look at all that lucious GRAVY!!!!! Posted on April 20, 2015 November 23, 2015 Categories Food and DrinkTags cast iron skillets, cookie scoop, food, GRAVY!, meatloaf, New Menu Monday, recipes, Swedish Meatballs5 Comments on New Menu Monday- Meatloaf Swapped for Swedish Meatballs, HOLY YUM! !